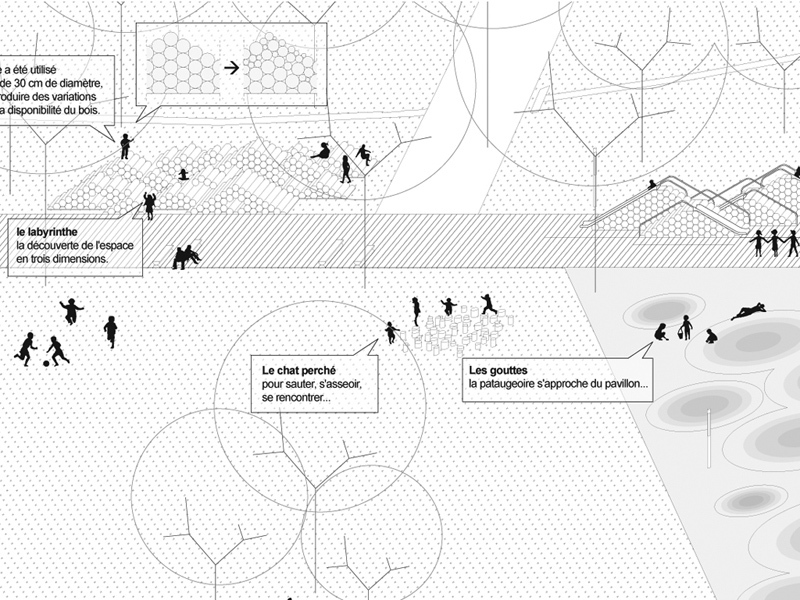 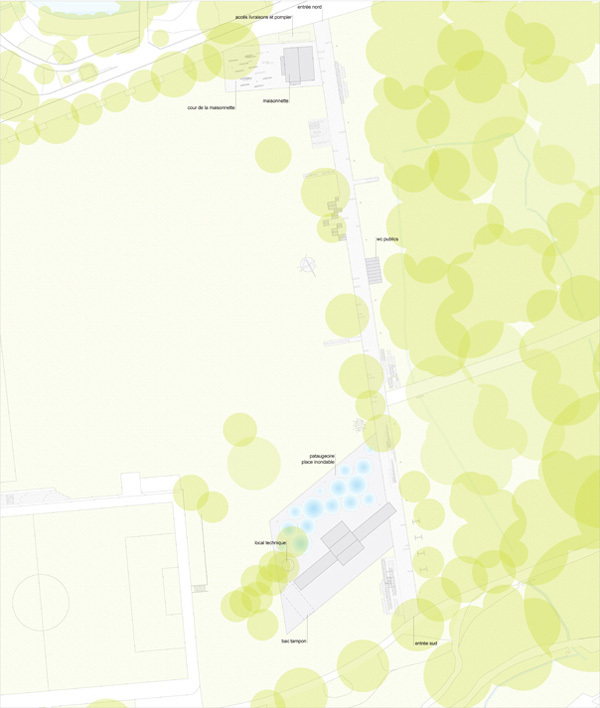 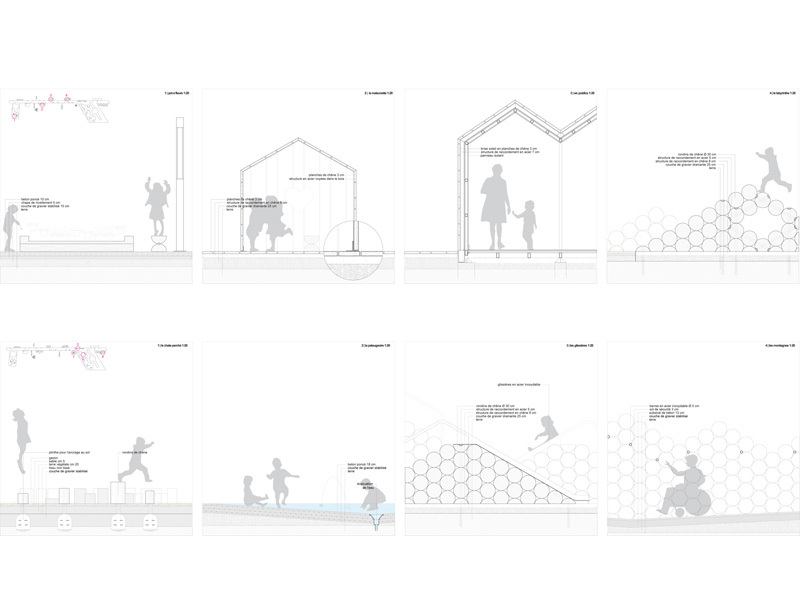 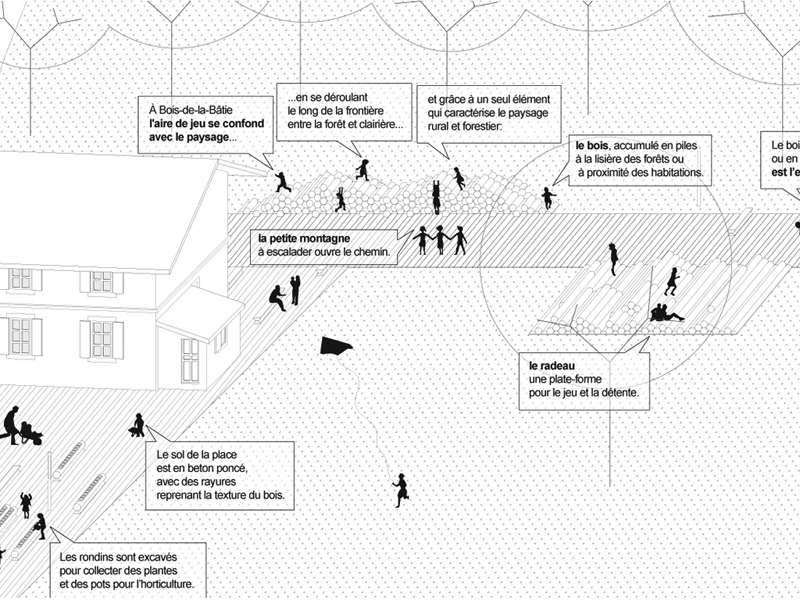 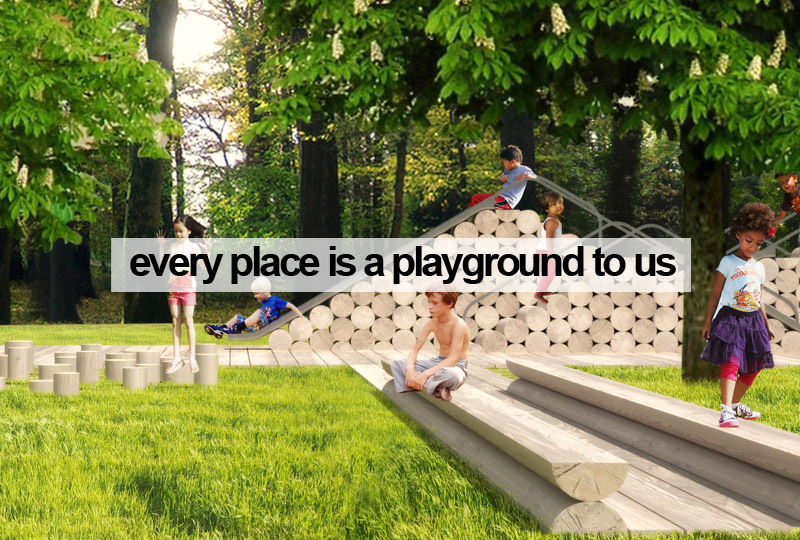 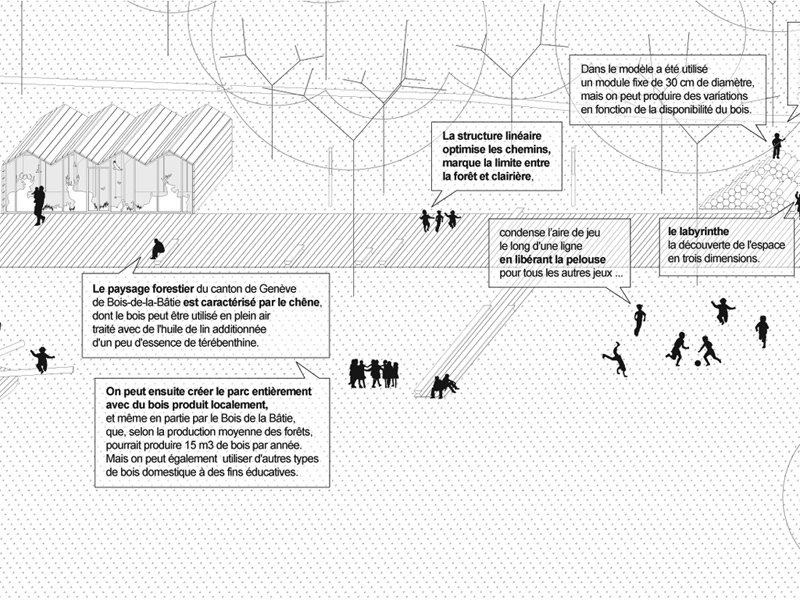 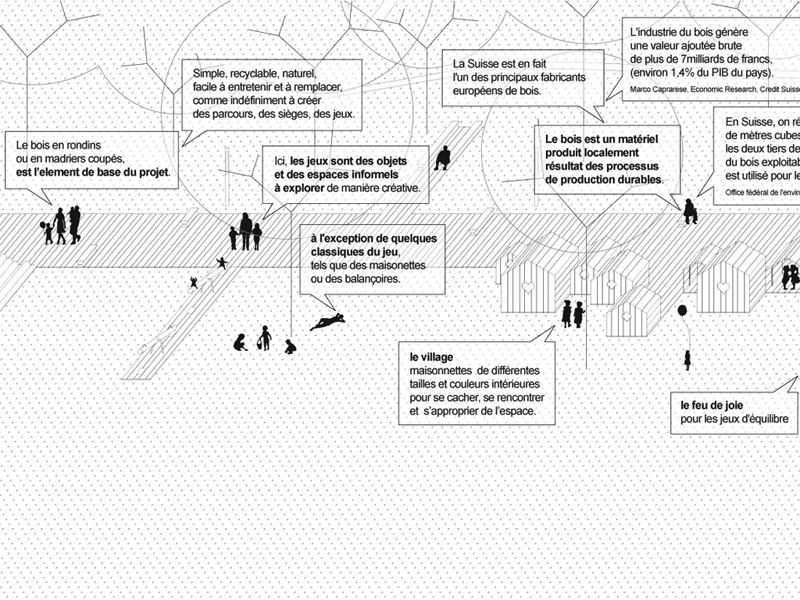 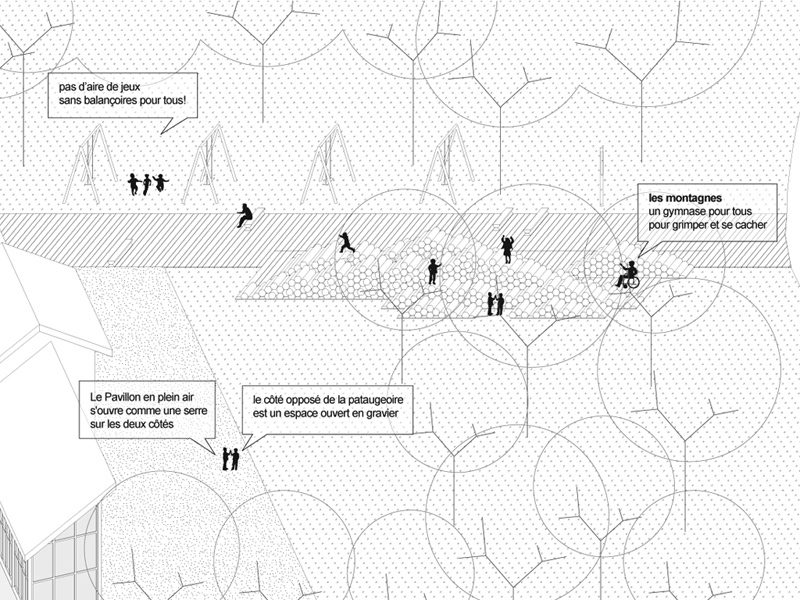 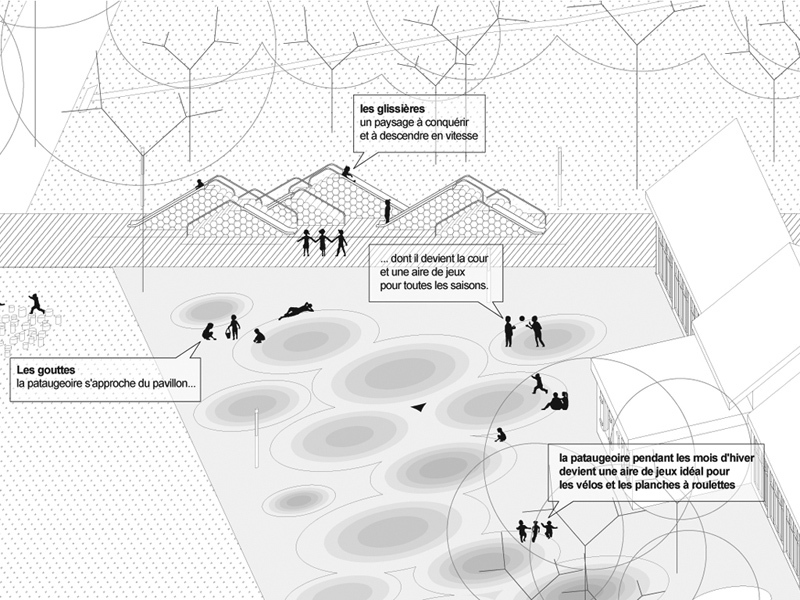 The project for playful landscape in Bois-de-la-Bâtie runs along the border between the forest and clear, with a line connecting the two pavilions in the park, that marks the boundary between forest and clearing, and condenses the playgrounds along a line freeing up the lawn for all the other activities. 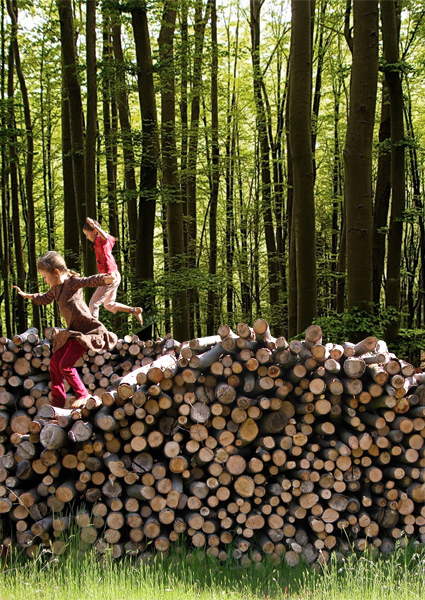 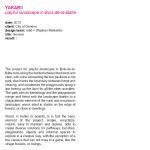 The path with its furnishings and the playgrounds merge and blend with the landscape thanks to a characteristic element of the rural and mountanin landscape: wood, piled in stacks on the edge of forests, or close to dwellings. 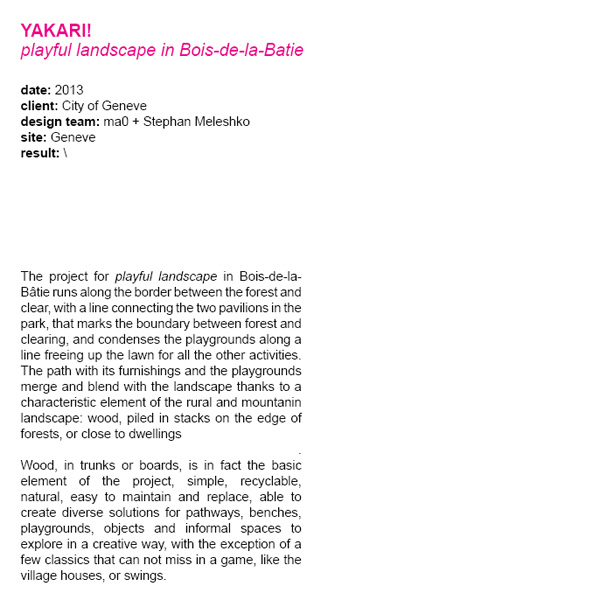 Wood, in trunks or boards, is in fact the basic element of the project, simple, recyclable, natural, easy to maintain and replace, able to create diverse solutions for pathways, benches, playgrounds, objects and informal spaces to explore in a creative way, with the exception of a few classics that can not miss in a game, like the village houses, or swings.